People who live in the midwest are used to cold winters, but it has been a long time since they saw anything like #PolarVortex2019. That name might sound a little dramatic but it’s an actual scientific term. A polar vortex is a set of strong winds that keep cold air high up in the Earth’s atmosphere. Normally, the extreme cold is locked around the Arctic, but every once and a while, a polar vortex can drift a little further south. And when it does, people freak out. The only good thing to come from a polar vortex is that some brave souls will inevitably leave their warm houses to capture some incredible–and downright insane—photos of life in the cold. 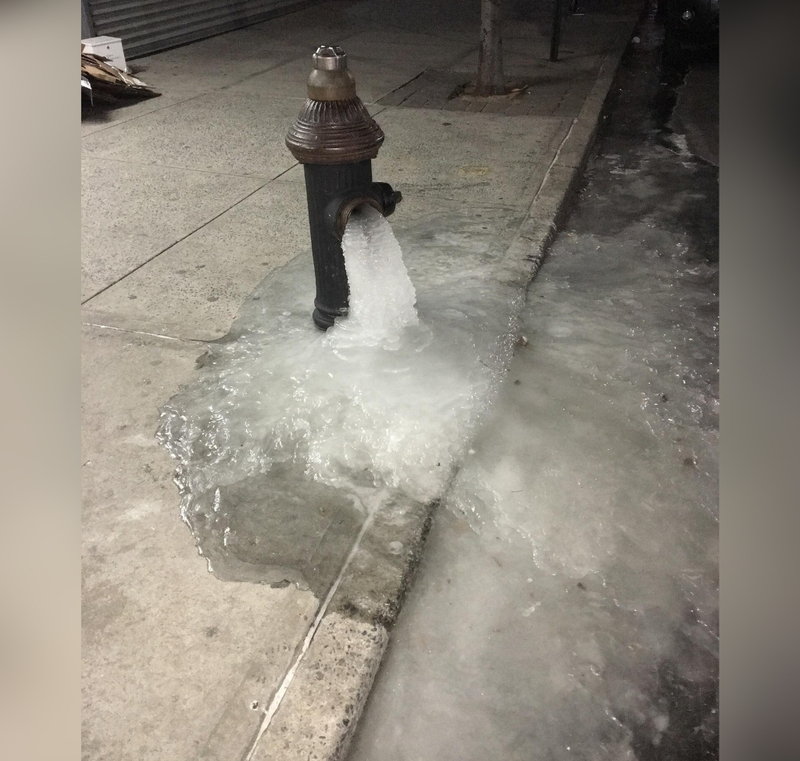 Check out these quite literally bone-chilling photos of what happens when a modern city is hit with -40-degree weather. After looking at these you might consider moving further south before the next vortex hits. 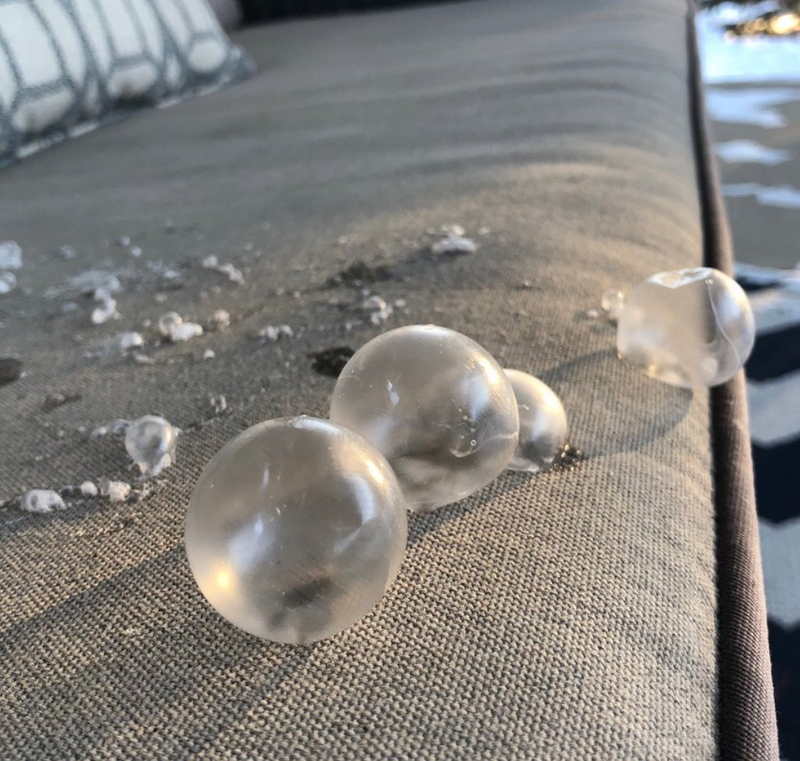 These frozen bubbles look like they’re straight out of a Mary Poppins movie, when in reality, it’s just plain old Minnesota. If you’re wondering how an innocent bubble could get to this point, it’s because at one point the Midwest was colder than parts of Antarctica. Yes, Antarctica. This takes popping a bubble to a new, and very dangerous, level. Note to self: don’t let the kids play outside during a polar vortex. Chicago, Or A Scene From The Day After Tomorrow? It’s hard to believe this photo was taken in Chicago, Illinois and that it’s not secretly the CGI-ed movie poster for The Day After Tomorrow. 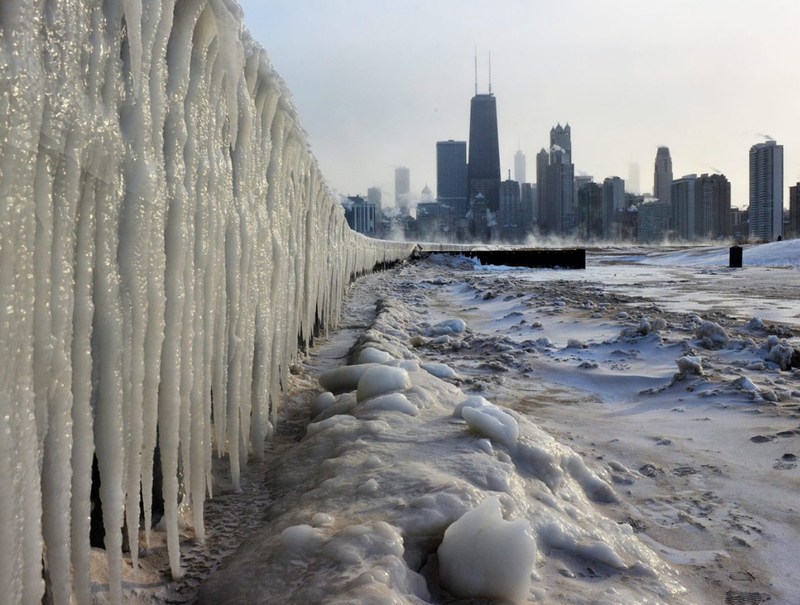 A polar vortex can leave an entire city looking like it has been suffering from a cold-weather apocalypse for a century. In a way, when temperatures get this low it is apocalyptic. Many schools and businesses shut down for safety, so the streets and cities are left deserted. There are some people who will run outside every day of the year, rain or shine. Well, what about rain, shine, or polar vortex? We have to give a serious round of applause to this woman for even attempting to exercise in a polar vortex, but it’s safe to say this might be a good day to take off. 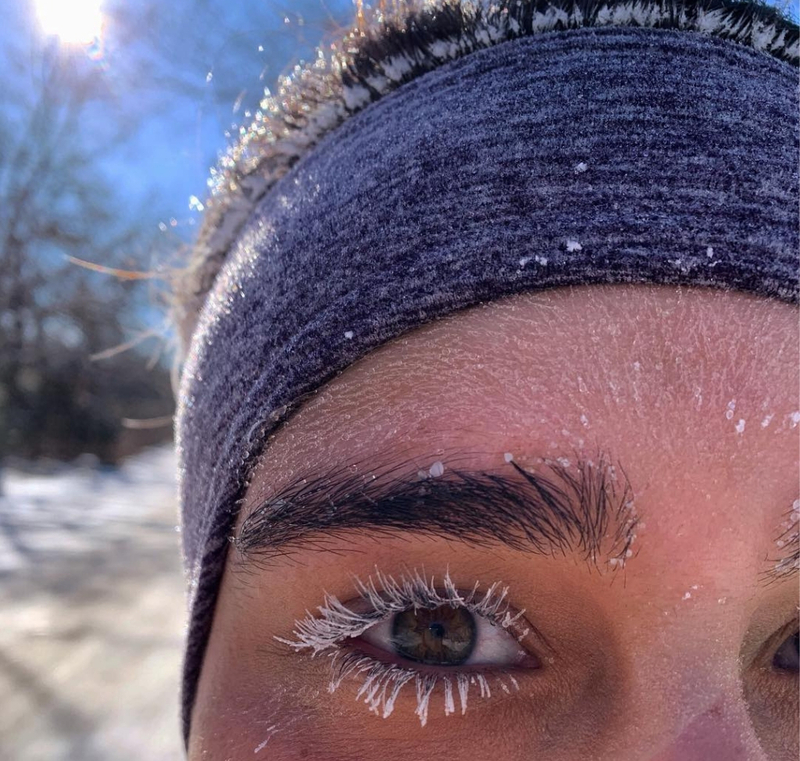 Once your sweat is instantly turning to ice crystals while on your face, it might be time to get an indoor gym membership instead. Keep reading to see how the cold can seriously affect animals. Why Not Make Even More Snow? This is a classic trick that people like to try when it’s cold outside. You take a pot or cup of boiling water and when you throw it in the air outside, it should freeze and instantly turn to snow. But beware, this trick really only works in insanely cold temperatures. There are far too many videos out there of people trying it and ending up with boiling water on their face. The cool photo isn’t worth the risk. Scraping ice off the outside of your car windows is nothing new. 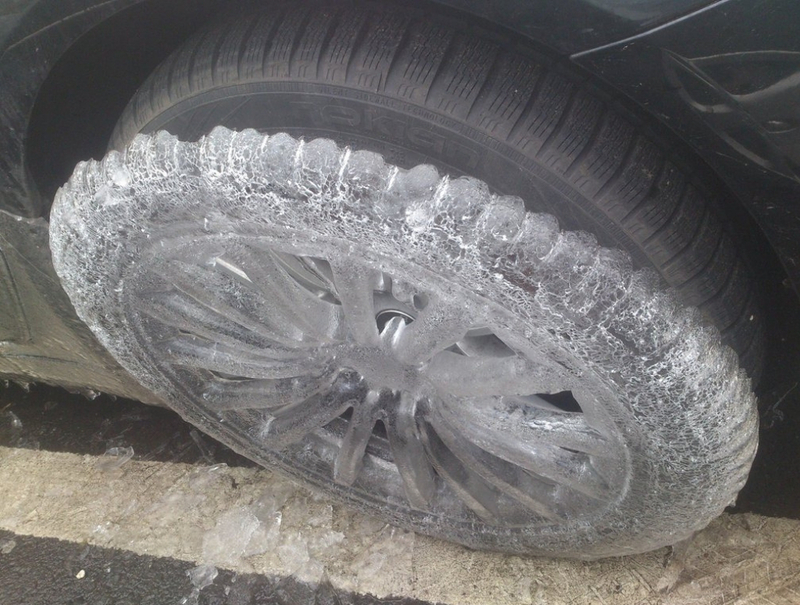 How about peeling off an inch of ice that is perfectly formed in the shape of your tire? If you’re a fan of custom car designs then this might actually be a sweet custom rim. For everyone else that is just concerned about driving to work safely, this is an ominous sign for what the roads and traffic are like. 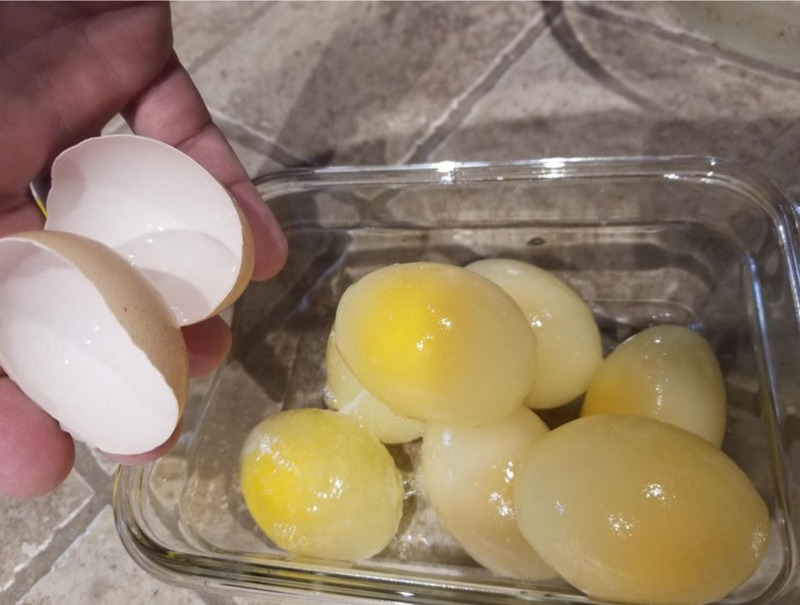 These frozen yolks came straight from a hen on a farm in Illinois. You know things are bad when the animals can’t handle it. In every movie, if the animals start sensing something is wrong then that’s a clear signal to get out. The hen who laid these eggs could probably feel the polar vortex coming, but their clucks were left unanswered. It’s kind of like when Ned Stark tried desperately to warn everyone that winter was coming. Coming up, check out why you don’t eat your lunch outside in a polar vortex. Basic rules of science don’t get thrown out the window just because it’s cold. When water freezes, it expands. That means if the water in your toilet tank gets cold enough to freeze, then your porcelain toilet tank doesn’t stand a chance. 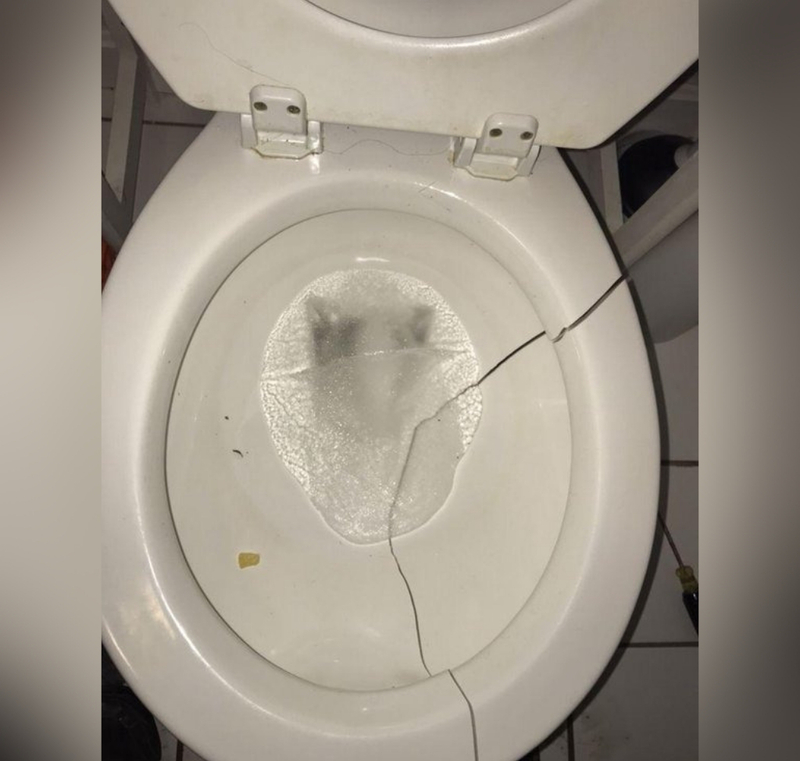 At first, this toilet tank disaster might feel like a costly mistake. But maybe it’s just a reason to finally start that bathroom renovation you’ve been putting off for years. A moment of silence for all the pet owners who have to walk their dogs in ultra-cold temperatures. The things we do for those we love, right? 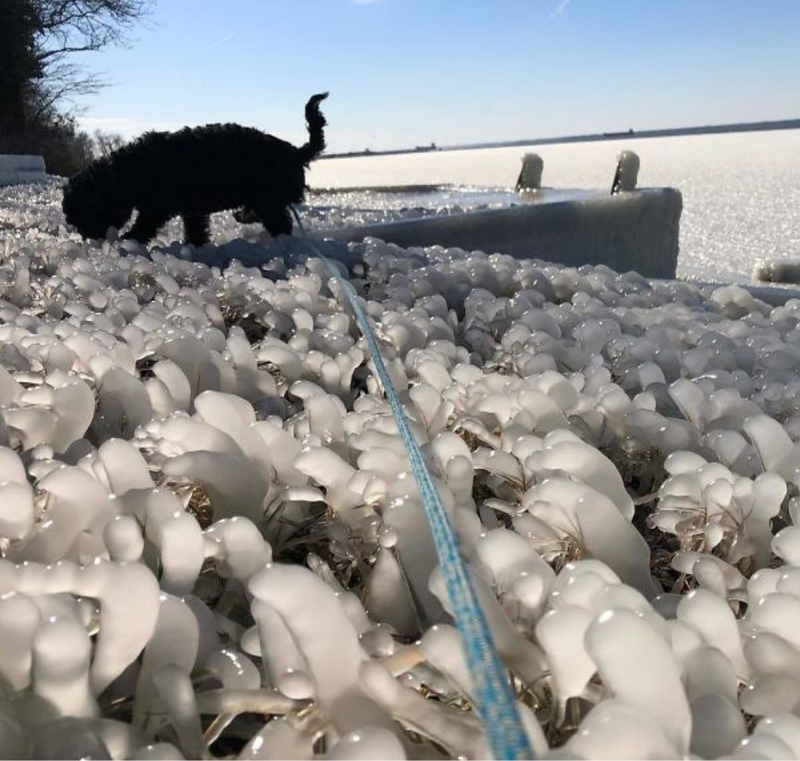 This dog is covered with fur and obviously excited to be standing in a field of ice to chomp on, but not all dogs are. The Arctic is used to polar vortexes, and so are their specially bred huskies that are born to love -40-degree temperature. The chihuahua’s you find in downtown Chicago? Not so much. 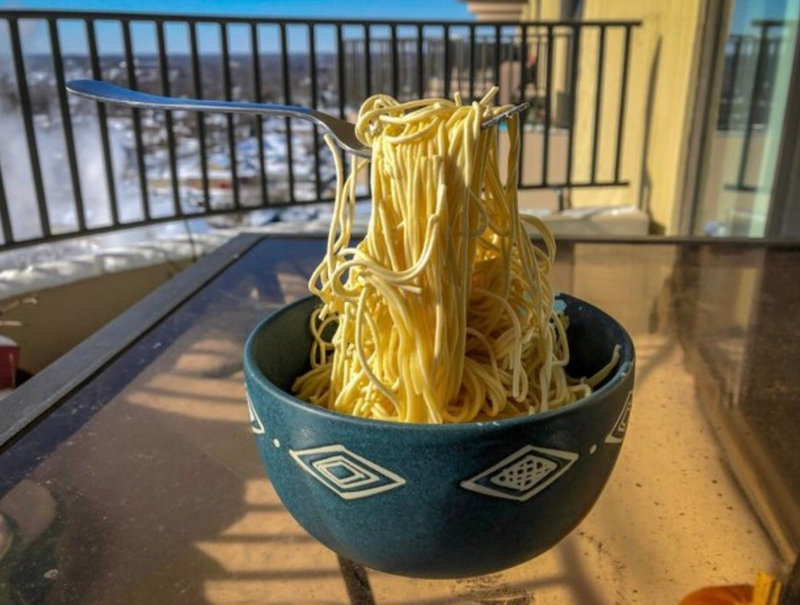 We’re going to go out on a limb here and say that when schools, businesses, and entire cities are closing down, it’s probably not the best day to eat your pasta lunch on the patio. Maybe this person was trying to feel optimistic about the weather, but now all they have is a cool photo and an empty stomach. A word of advice: a polar vortex is the one time you shouldn’t do it for the ‘gram. Next, find out what happens when your only tool for survival is frozen solid. Experts will say that when temperatures drop to a certain level homes can see their pipes burst from water freezing. 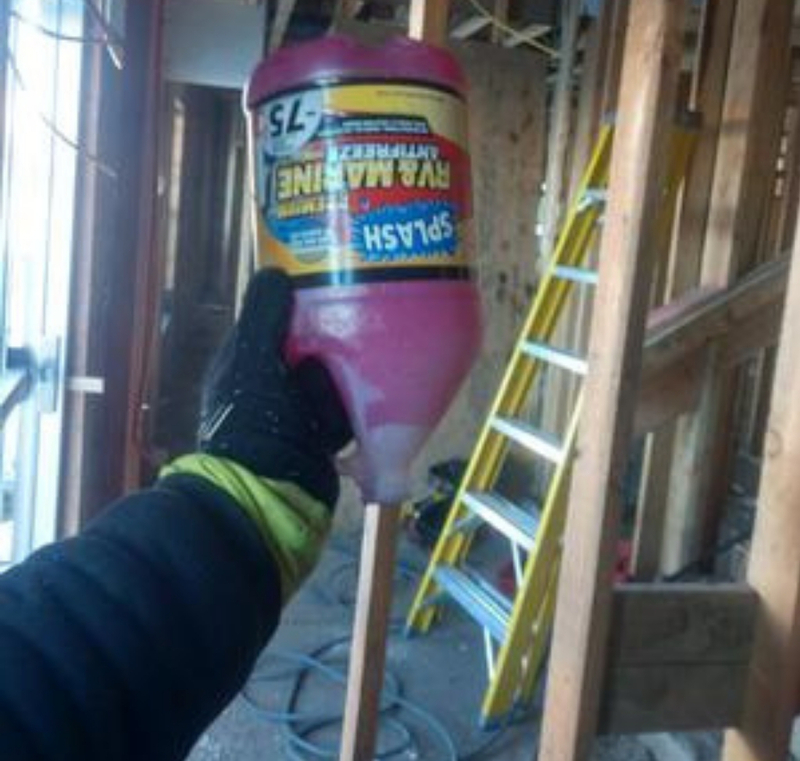 It’s important to keep the heat on and the water warm and, if necessary, even pour antifreeze down the pipes. That’s all great advice until it gets so cold that the antifreeze freezes. One thing to know to help avoid this situation is that pure antifreeze actually solidifies faster than antifreeze mixed with 50% water. If that doesn’t work, well, then you’re out of luck. This might be one reason to rethink that cheap paint quote you got from the sketchy dealership. Normal car paint shouldn’t peel like this. In fact, good quality car paint is tested to last in sub-zero conditions. Whoever did this paint job either used plastidip or low-quality product. 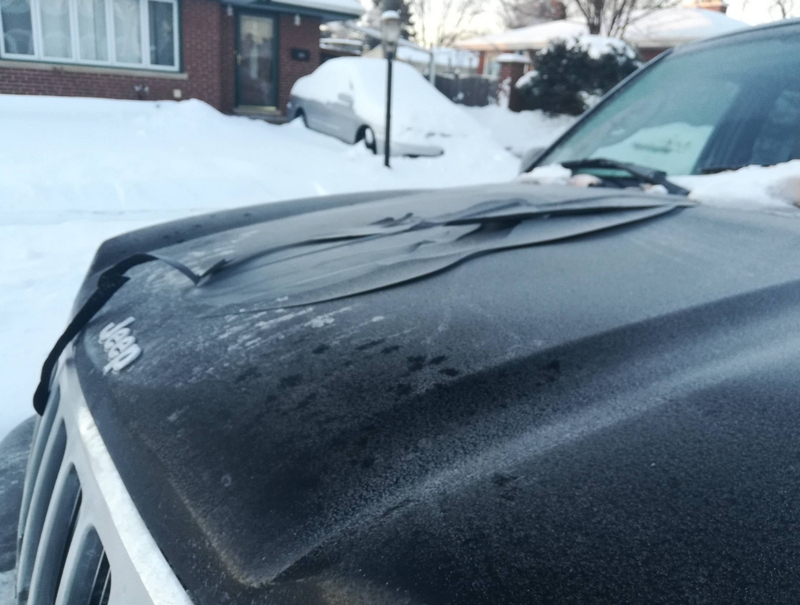 Cars have survived in worse climates than Iowa, so this polar vortex casualty is all thanks to a car owner wanting a good deal. When you think of the dangers of being a firefighter, your first thought is definitely, duh, fire! No part of training can teach you what to expect when you enter a blazing building, get covered in sweat and smoke, then walk out into -40-degree temperatures and freeze instantly. Seeing icicles forming around a fire helmet is something you have to see to believe. We already knew that heroes like this don’t get paid enough and this proves it. Coming up, these people are quite literally freezing their pants off. 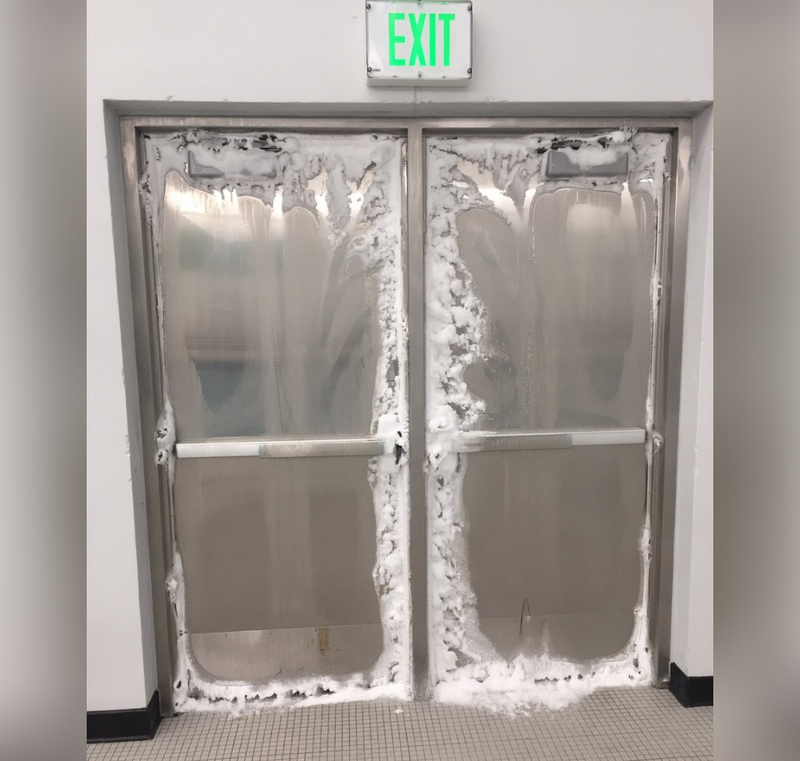 These doors have obviously gained more and more ice and snow the more times they’ve been opened. People clearly need to go in and out but if this isn’t a sign to stay indoors, I don’t know what is. Let’s all just hope that these doors aren’t an emergency exit. If they keep building up ice and snow then it won’t be long before they’re frozen shut and everyone’s in trouble. Vodka is commonly stored in freezers to keep cold so the alcohol burns a little less when it goes down. The liquor can be kept in a freezer because it won’t turn solid until about -16-degrees Fahrenheit, while most of our freezers stay around 0 degrees. 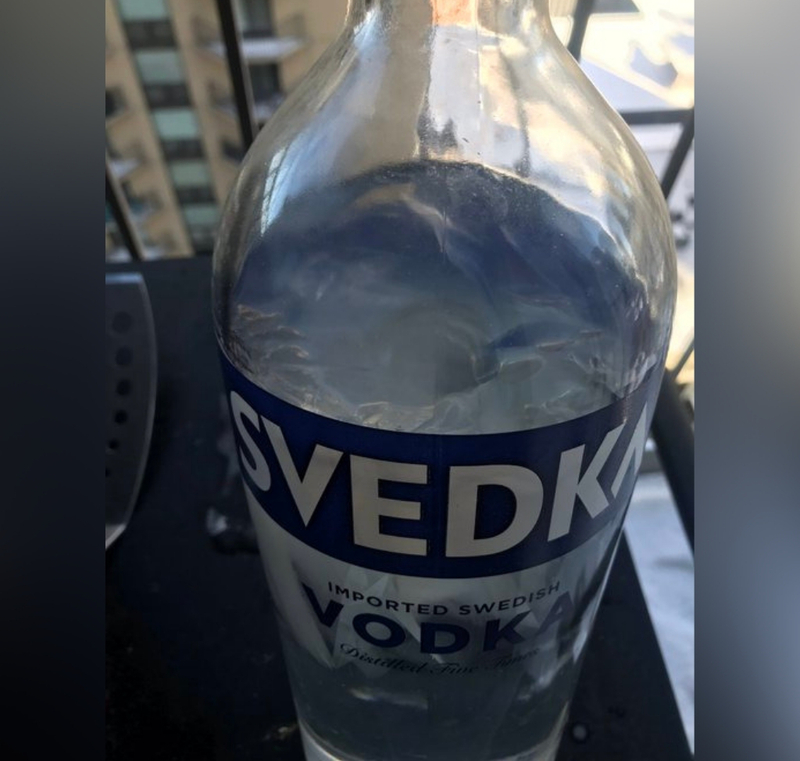 The fact that an entire bottle of vodka could freeze outside means you have some seriously cold weather. It seems a polar vortex can truly make the party stop. We weren’t lying when we said that people’s pants are being frozen off. A polar vortex definitely isn’t the time to hang-dry your wet clothes outside. 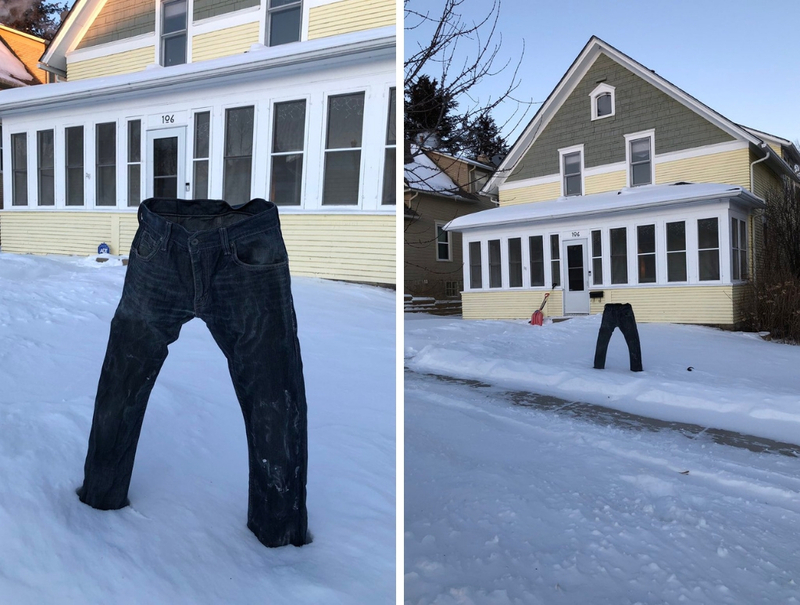 These frozen pants look like someone got too cold mid-shovel and rather than try and defrost before going inside, decided to sacrifice their pants instead. On the bright side, kids can now dress their snowmen in the most elaborate costumes and have them actually stay true to form. Wearing glasses during any extreme swing in temperature is not fun. 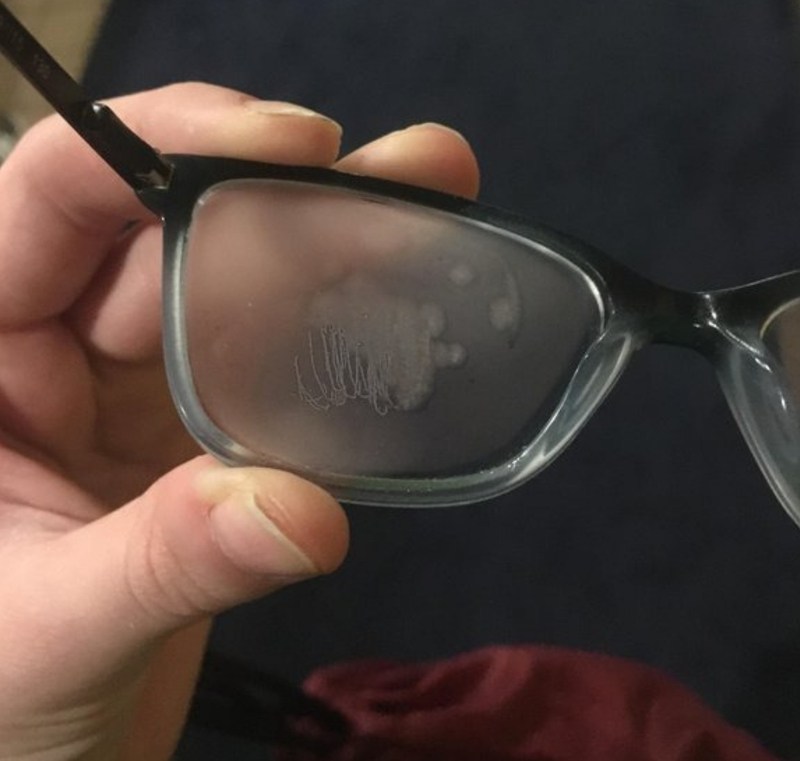 Glasses-wearers unite over the struggle of fogged up glasses, but never do they have to deal with the fog turning into actual ice. Half the population turns into Mr. Magoo when it’s cold out. Having it become so cold that the glass turns frozen is just plain rude. The polar vortex better have a plan to pay for everyone’s replacement prescription lenses. There is nowhere to run, there is nowhere to hide. Even in the safety of your home, a polar vortex will find any metallic surface and strike. 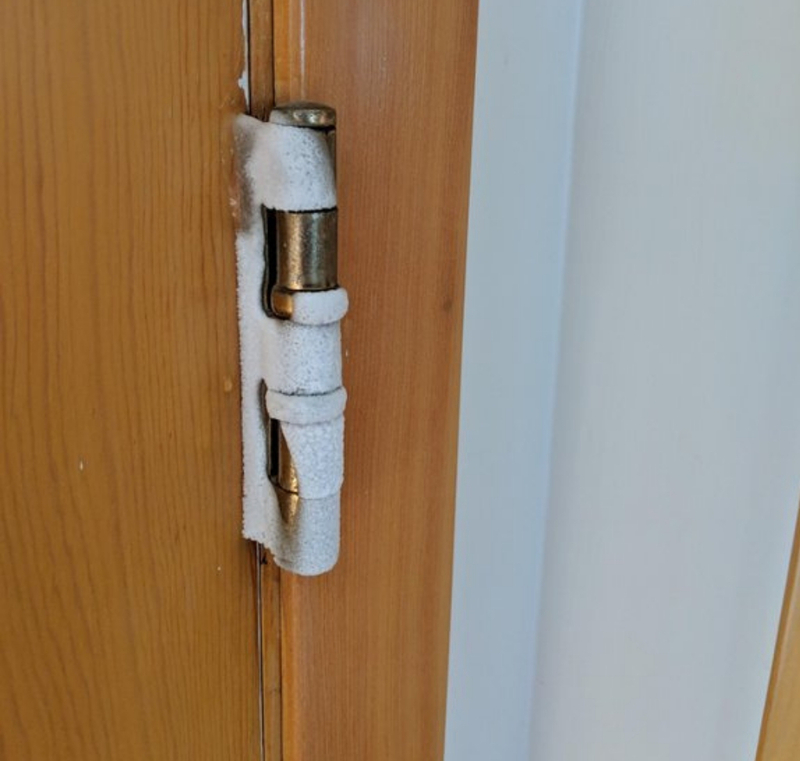 It doesn’t matter if it’s technically the inside hinge on a door, just a crack will let in enough cold to overtake your home. When the next polar vortex comes through, you might as well go full Bird Box and completely barricade every window and door in the house. This is one of those terrible situations that you watch unfold in slow motion. We’ve all had one unfortunate experience where we put a can of soda in the freezer and forget about it until we hear a loud explosion ten minutes later. Sadly, humans never learn from their mistakes. 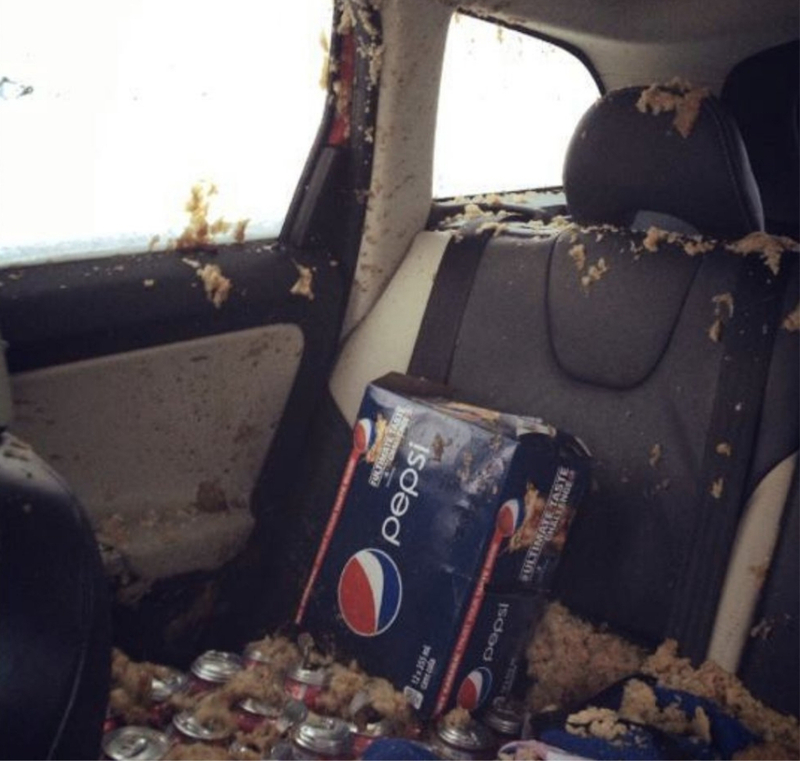 The worst part of this situation is knowing the person had to clean up Pepsi slushie in -40-degree temperatures and didn’t even have a cold pop to unwind with after. Just imagine being a normal Wisconsinite heading to the toilet only to find your usual throne is now an ice throne. It might look cool, but for anyone with low-hanging fruit, it’s downright dangerous. That doesn’t make it any safer for everyone else. 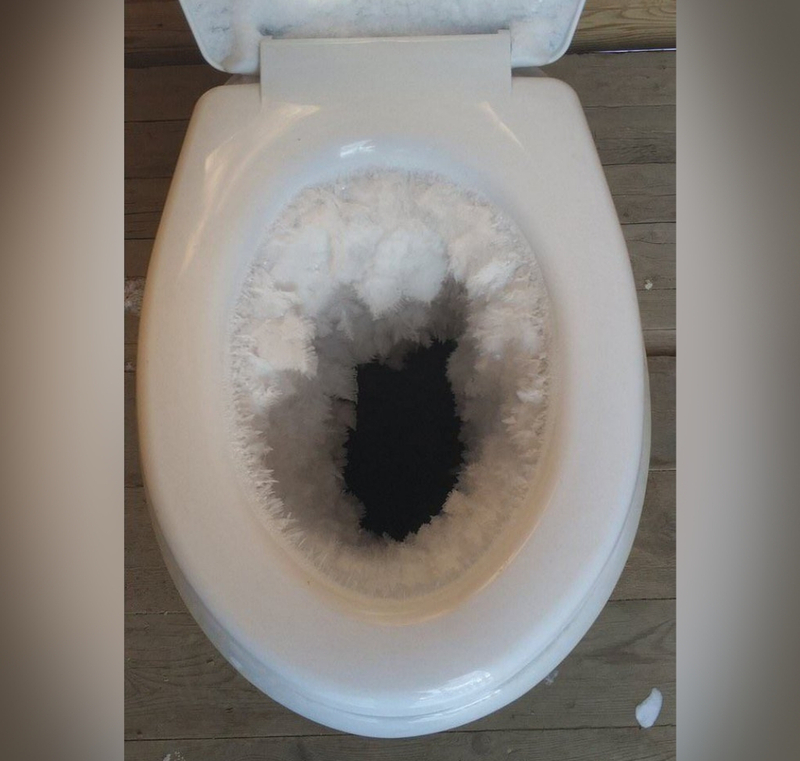 There have actually been reports of people getting their butts stuck to frozen toilet seats. Looks like you’ll have to set up a space heater in the bathroom if you want to get any business done. The only thing riskier than sitting on that last toilet is having to wipe with this toilet paper. There’s really only one very specific situation that this ice-covered toilet paper might come in handy, and that’s after you eat an extra spicy burrito. It might not be the worst form of toilet paper though. 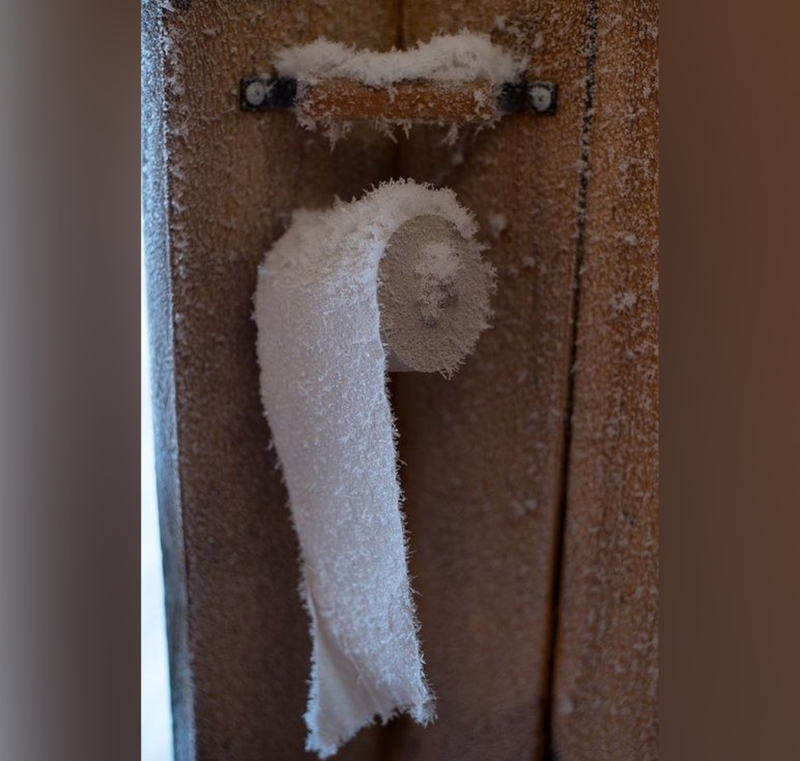 Obviously, we’d all prefer room-temperature TP, but covered in ice might be worse than blazing hot toilet paper that Australians have to deal with. Taking an Uber in weather like this is already awkward enough. You’re just paying someone else to put their life on the line and drive over sheets of ice for you so that you won’t have to wait three minutes at the bus stop. 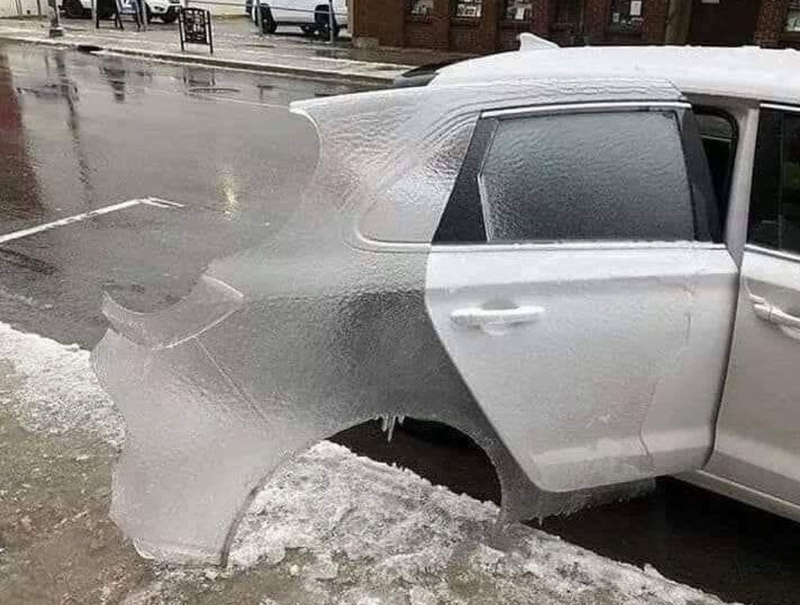 Now take that and imagine the awkward conversation you have to have when you open the door and the entire window shatters thanks to a massive sheet of ice. Oh, you want to charge your phone to get weather updates in the midst of a polar vortex? Too bad. 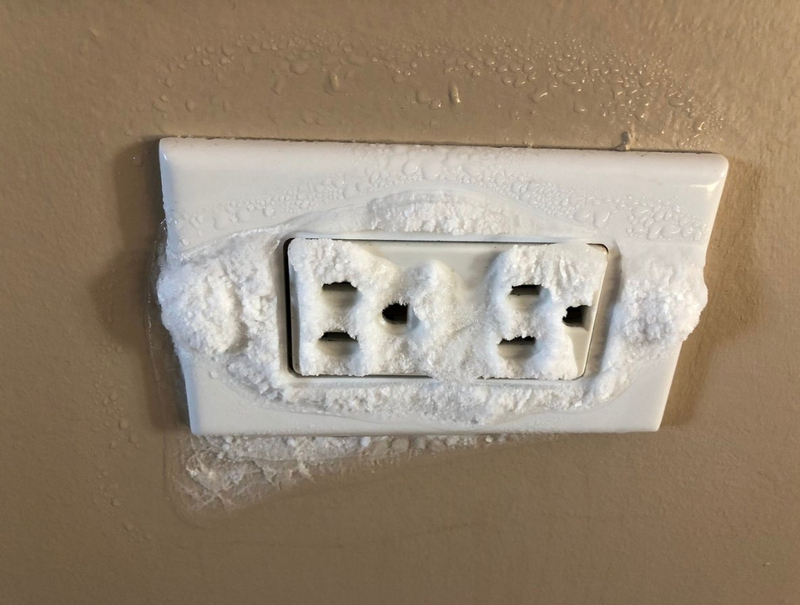 Your outlet is now somehow covered in frost. 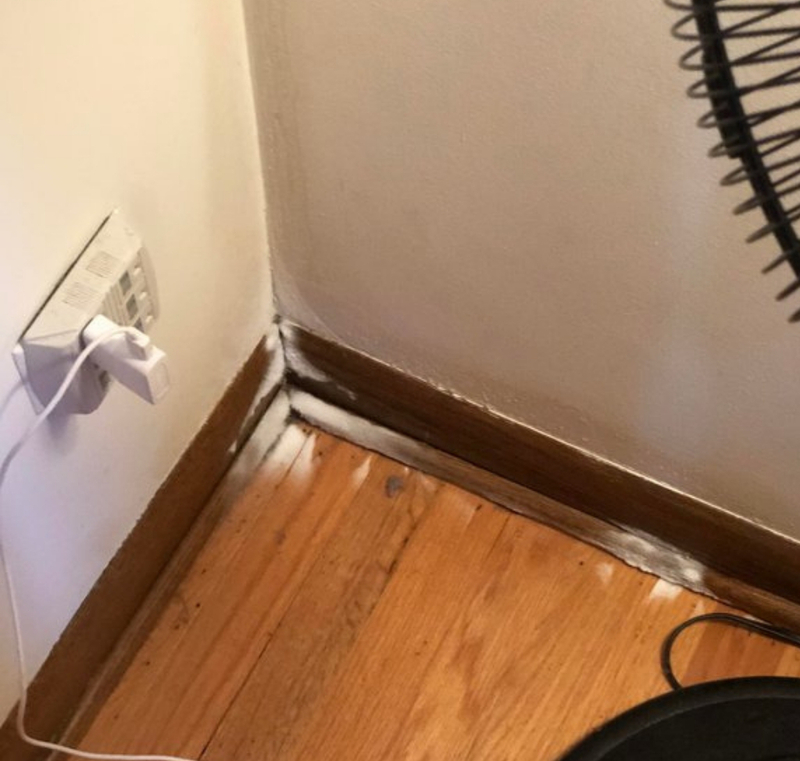 If you can even get your phone charger in the outlet then there’s a fifty-fifty chance it either gets stuck or the heat melts the frost and you get electrocuted. If this was during the days of Flappy Bird, people would definitely risk it. 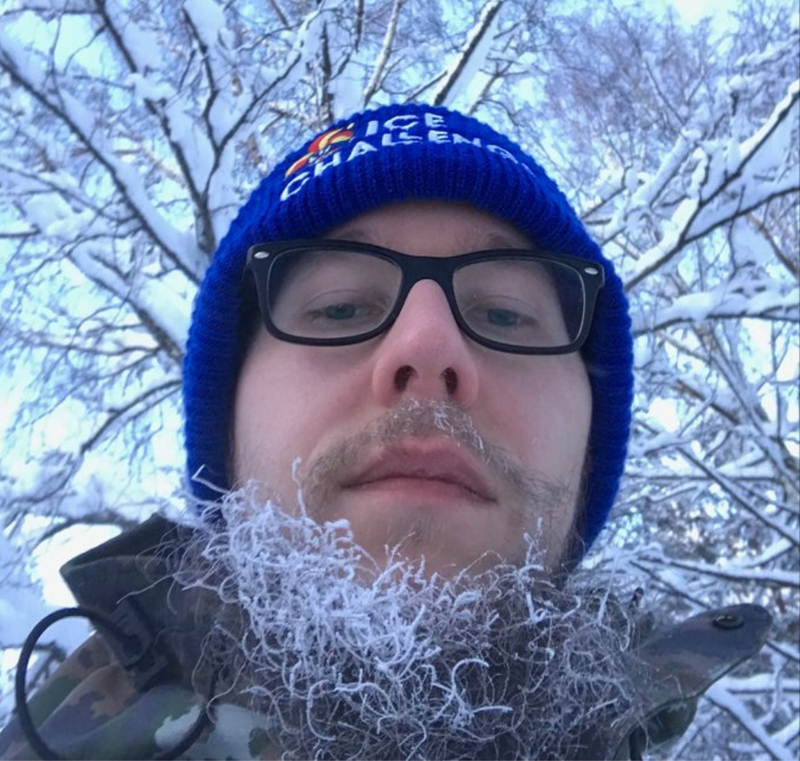 You might want to feel sympathy for this guy’s frozen beard, but he should have known better. You look outside and see it’s -40-degrees then why wouldn’t you make sure your beard is completely toweled off and dry? The only sympathy he gets is for the fact he’s got a frozen beard and fogged up glasses. Let this be a lesson to anyone thinking they can go to work with their hair or beards still wet during cold weather. This frozen corner of a house looks like a modern-day version of a scene straight out of Game of Thrones. The Night King and his Army of the Dead are probably just on the other side of that wall waiting for it to shatter to pieces so they can add you to their army. On the other hand, it could just be an innocent set of doors in Minnesota that are warning you to stay inside and keep warm. 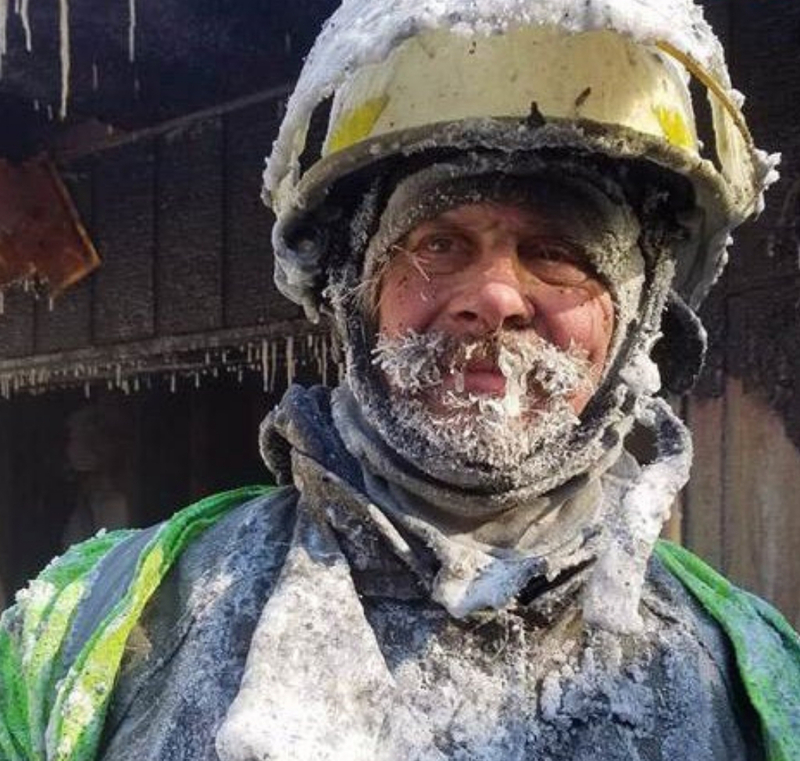 This photo of the fire chief from Wisconsin shows how dangerous things got when he began fighting a fire and fighting an ice storm at the same time. Reports said that all the ice and snow around his face came from the over-spray from the fire hoses. 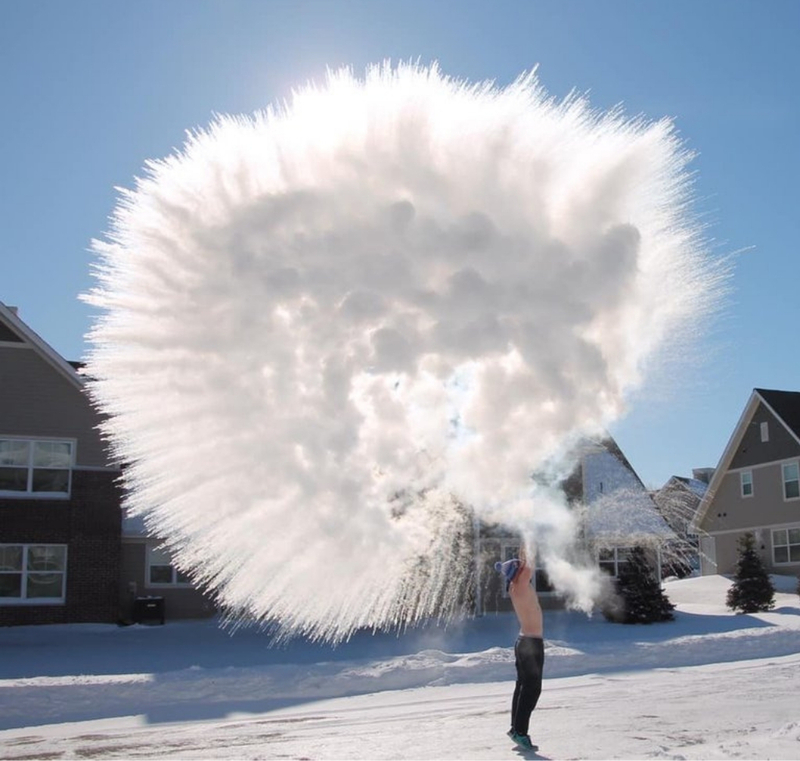 The over-spray froze and turned into ice pellets just as they hit the firefighters’ faces. 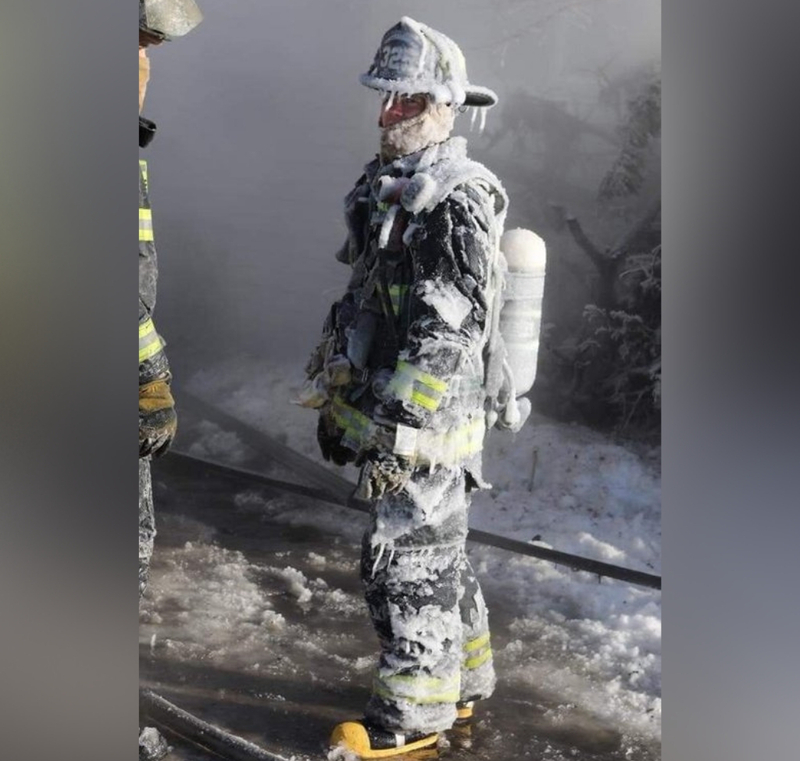 Firefighters risk their lives every day, but the cold makes it that much more dangerous. 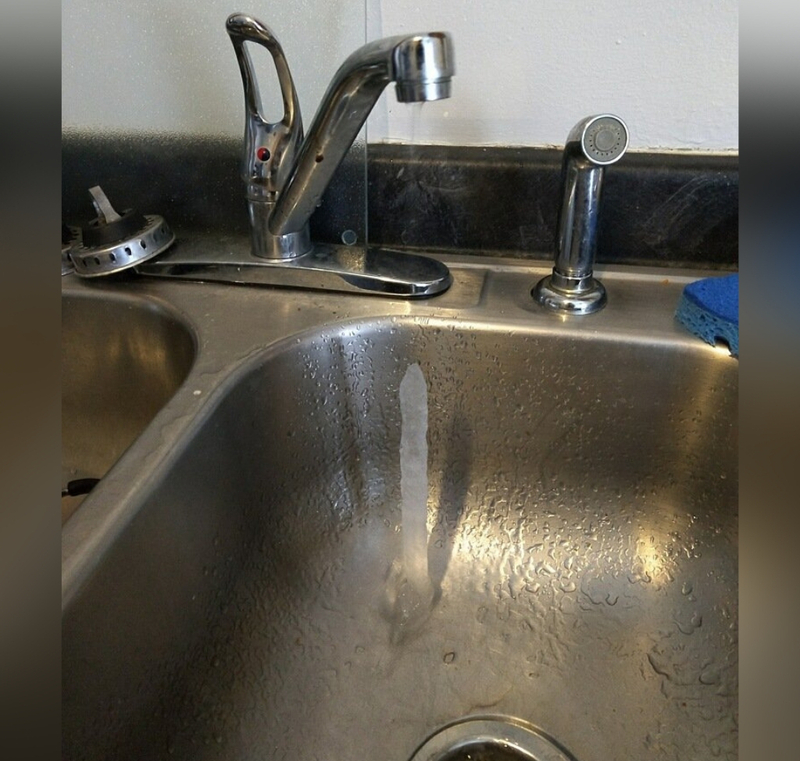 If the water coming from your tap is dripping down to form a stalagmite then it may be time to book that vacation to Florida you were thinking about. Some people suggest leaving your taps on slightly to make sure the water doesn’t freeze up inside and that there is a constant flow. 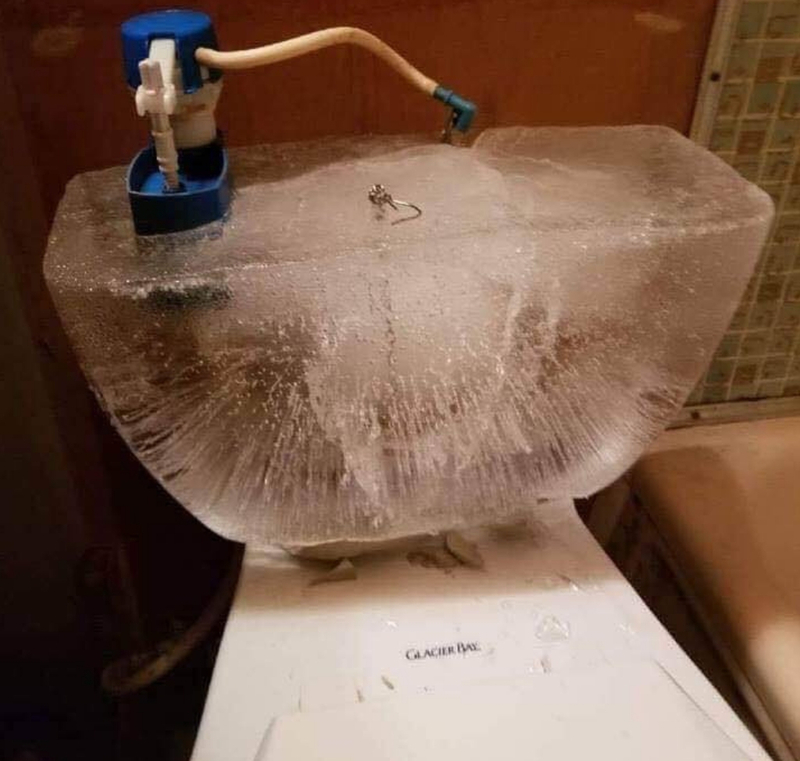 The problem with that is when the outside of the pipe is just as cold and you’re left with a frozen tower that will take some serious handiwork to pry off your sink. 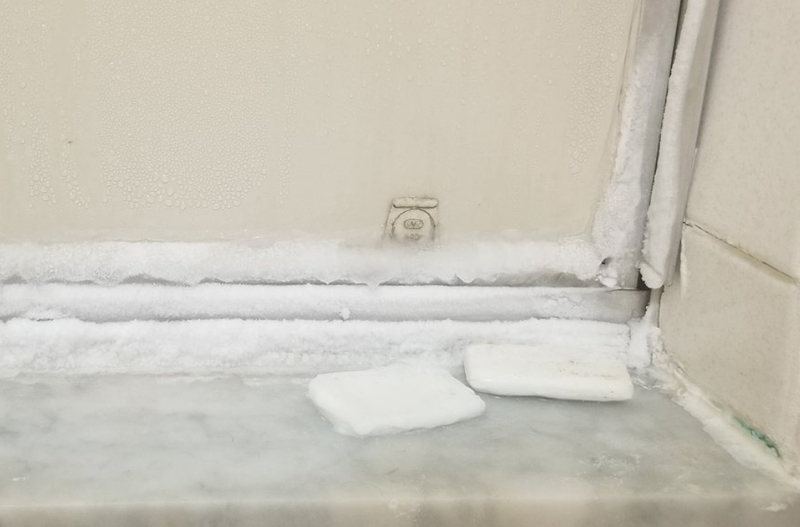 If you were considering running your cold water for a cold shower in the middle of a polar vortex, you were already crazy. Just crazy enough that using this frozen soap might actually work for you. For the rest of us, we prefer our soap room temperature and easy to lather. Hopefully, this will teach everyone in the midwest to properly insulate the shower window next time they renovate the bathroom. Sure, pre-heating your car with your autostart function seems like a good way to beat the cold. There’s nothing worse than driving in -40 weather when it feels like -50 in the car. 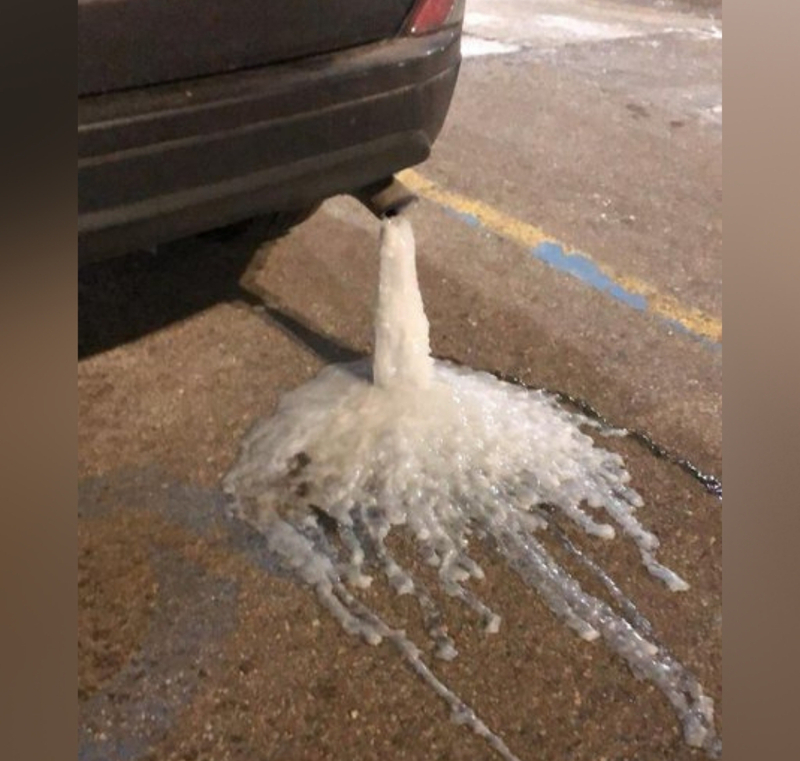 Well, it’s a good idea until you realize that you forgot to top up on antifreeze and now your car is frozen to the ground. You might have to bring the space heater outside to get this bad boy to break off before you can go anywhere. We’ve seen firefighters frozen in their uniforms and covered with ice pellets. As if their jobs aren’t hard enough, now they can’t even rely on the fire hydrants to work properly for them. All of this is to say, if you ever end up in the middle of a polar vortex just try really, really hard not to set anything on fire. Creating a small campfire in your living room might seem like a good idea but the extra heat isn’t worth the risk. There’s only one type of person out there who actually appreciates the cold snap and it’s a three-year-old. They get to stay home from school, play inside without all their snow gear on, and now they don’t have to keep up with the potty training their parents recently forced on them. I’m willing to bet that a desperate-enough toddler would leave a window open in the polar vortex just to avoid potty training.